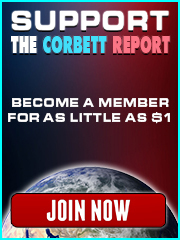 James joins Ernest Hancock on “Declare Your Independence” for their bi-monthly round-up of stories from across The Corbett Report universe. This time they discuss how everything old is new again as all the things James has been documenting for years finally starts to reach the public consciousness. This guy reminded me of a cartoon character, almost like something out of Alice in Wonderland. His style grew on me as the podcast went on though. He reminds me of Alex Jones – I can’t listen to this! Reward points have arrived in my french town for the massive public transport system (along with Agenda 21). 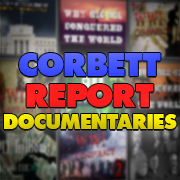 When is Mr Corbett coming to a town near me? In the Canadian Carrot Rewards app, that I show to my students regularly now, the flu shot is mentioned at least 6 times, visually and by audio before two-thirds of the video have passed. Except maybe for the word “points” or “rewards” nothing else is mentioned as often. Imagine “Gardasil” or the Hepatitus B shot being mentioned as often, and subliminally in such an app. For Rewards! As for 1294 … so sorry James, I love your “style” but as for this other guy, forget it! I could only listen for a short while and was compelled to comment here and go elsewhere. c. reality check comes at the small community level as each of us use our skills to create the life we want and generate the wealth we need. This is another reason why small self sufficient community development is the answer: we touch reality each day as a check on our work and generally dont need cell phones, googles, NSA, the internet of things, which instead are used to ensnare the city dwellers who live in vicarious reality. d. as a scientist I am kind of sad to see the end of science (the low hanging fruit was picked 50-100 years ago now just idiotically trivial relationships are “researched” as “science”). But the skills of a scientist-philosoph are needed more than ever in this new world. The last dark ages was exited via the scientific method and this new emerging dark age requires similar philosoph scientist-like mind to survive and prosper regarding the info overload.